At the end of the 20th century in Korea, volunteering was not considered desirable. At the time, the country was just coming out of the Asian financial crisis and, before that, the people were busy. So busy, in fact, that the nation was able to collectively work its way out of grinding poverty, national division and the Korean War in nearly just one generation. In the earliest days of Service For Peace, an international service learning organization established by Dr. Moon in 2001, in Korea, volunteerism was not a part of the public psyche. For the nation’s youth and their parents, with growing concerns over test scores and job placement, service to others was not considered a priority. 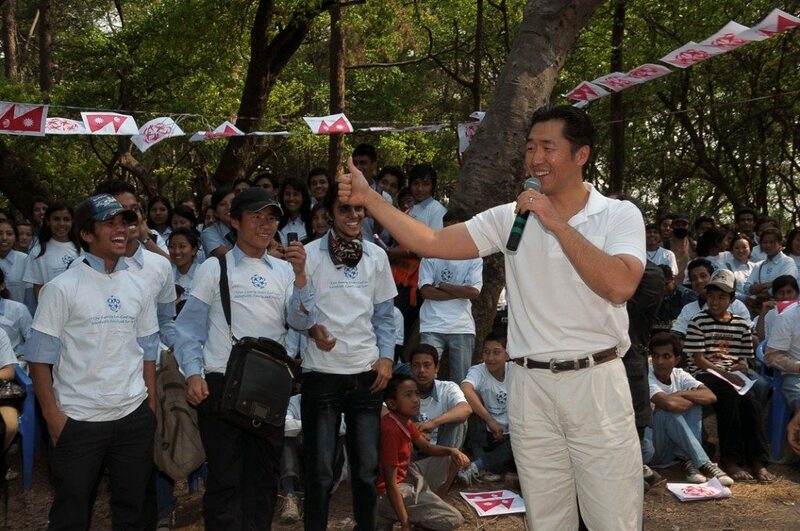 Dr. Hyun Jin Moon talking to Service for Peace volunteers. 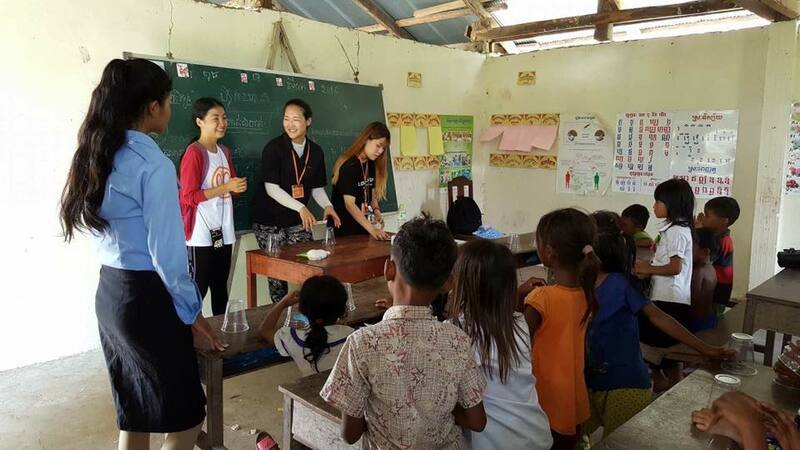 Service For Peace’s fledgling oversea projects began with a handful of youth visiting Thailand, Mongolia and other neighboring Asian nations during their summers. The projects brought conflicted communities together to address shared concerns like building local schools, planting trees, and rebuilding communities hit by natural disaster. Since then, attitudes have changed dramatically. These days, one would find Incheon International Airport perpetually flooded by Korean students during the summer holiday season. Yet, they are not on their way to a luxurious vacation, but rather on a mission to serve others in foreign countries. 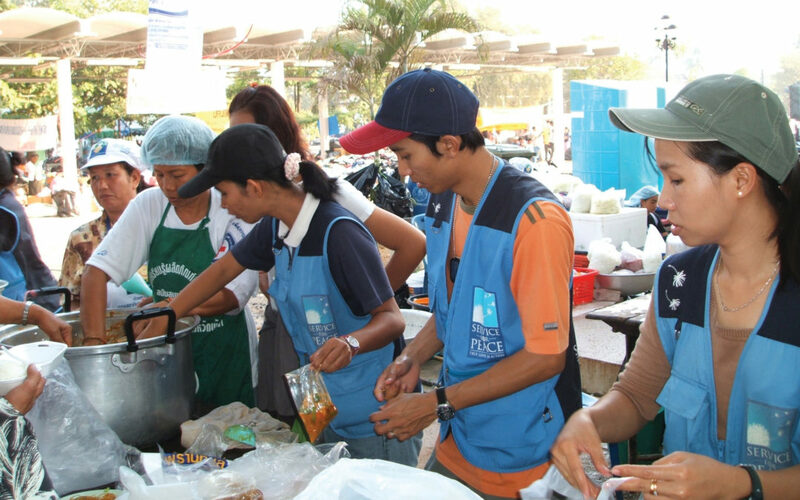 In the period from 2009 to 2013, the Korean International Cooperation Agency (KOICA) reported dispatching over 20,000 volunteers to offer assistance to those in developing countries. Other civil society groups, including many religious organizations, likewise send out volunteers on overseas mission trips. Korea is now considered exceptionally notable for a large number of missionaries it sends out to countries all over the world. In another trendsetting move, Korean churches are now sending “silver” missionaries – retired, elderly people who wish to live out their retirement by serving as missionaries in other countries. Service for Peace and Global Peace Foundation are also part of this wave of service, providing opportunities for Korean youth, businesses and elderly to volunteer abroad through projects like All-Lights Village. International volunteers traveling aboard to support the All-Lights Village project. 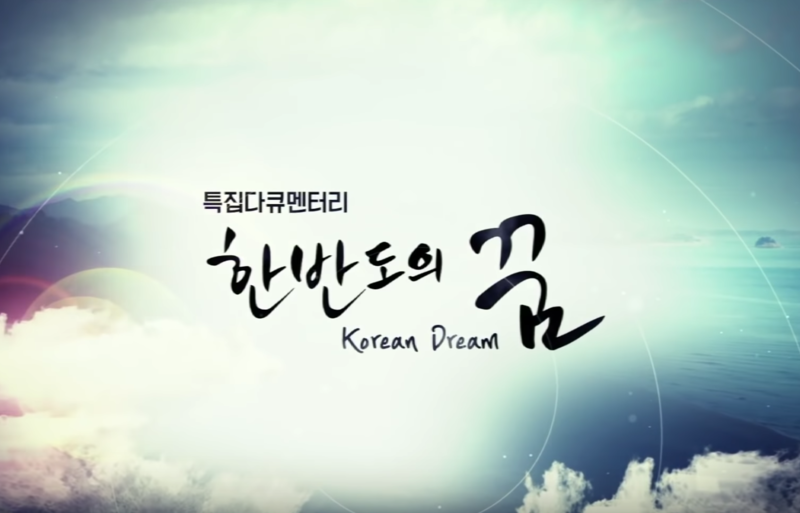 In these and other creative and interesting ways, Koreans are finding the will to live out the spirit articulated at the founding of the Korean nation in this next K-wave. Hongik Ingan, translated as the will to bring “broad benefit to all humanity” is at the core of Korean national identity and is Korea’s greatest legacy. As new generations re-discover this legacy through service abroad, we must not forget to live this out in the home. The practice of this spirit in one’s family, community and society will also renew the nation while deepening and strengthening any and all contributions to the global community. 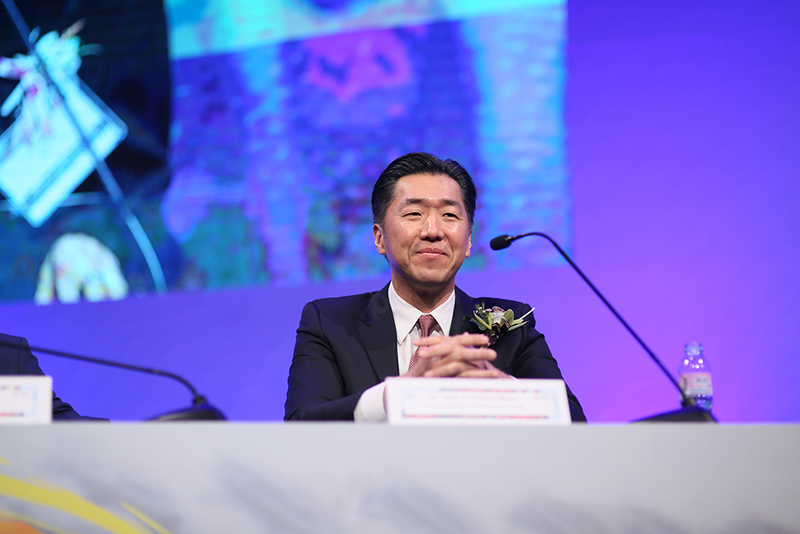 This can take shape in the active engagement of Korean youth in the grassroots work of building the “Korean Dream” with practical programs and activities that advance Korean reunification and reconciliation. Together with their North Korean brethren, they might make the kind of lasting, global impact that truly allows all Koreans to bring benefit to all humanity.